Where the real money spent or biggest Vegas loss! 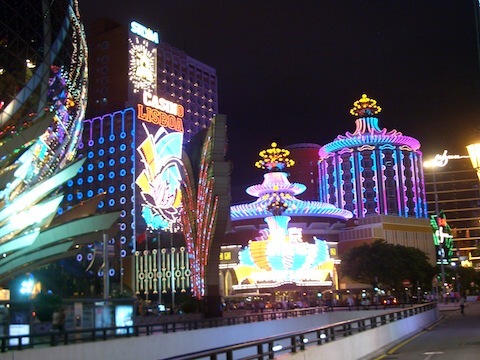 Macau – gambling city where the dreams come to live and people spend billions every year. For a last 10 years this island has changed radically forever, new hotels, resorts and casinos were built and it starts to attract more and more rich Asian people who begin to prefer spend their money in Macau than Las Vegas. Following last numbers casino revenue jumped to a record of $4.57 billion in October, boosted by mainland Chinese visitors who spent their Golden Week holiday in the world’s largest gambling hub. Casino operators in Macao has learned very quickly from their American rival and after adding more entertainment shows and more hotel rooms this year they draw even more tourists to the former Portuguese colony. Regarding Macau Government Tourist Office percent of mainland visitors to Macau rose by 12.1 compare with previous year 722,746 visitors came over the October Golden Week holiday. Asian tourists spent abnormal amount of money in Vegas for last few decades but it was in the past new reality is that Macau can offer today not less and sometimes even more than Vegas. 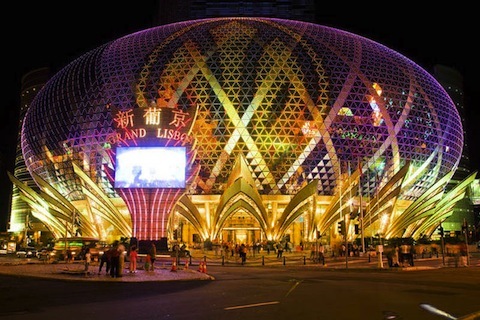 And by the total amount of visitors, casinos and revenue Macau for sure - is the World capital of Gambling! But entertainment Capital of The World still stays the same - Vegas baby, Las Vegas!